The well-loved dessert, Sticky Toffee Pudding, was a 1970s invention that modernized classic English puddings. Coombe Castle’s Sticky Toffee P.U.C is a scrumptiously imaginative, elegantly packaged reinterpretation that has blurred any divisions between cheese - dessert cheese – and simply dessert. Mild English Cheddar is combined with just the right amounts of toffee, dates and raisins to form a unique and precise balance of savory and sweet flavors. 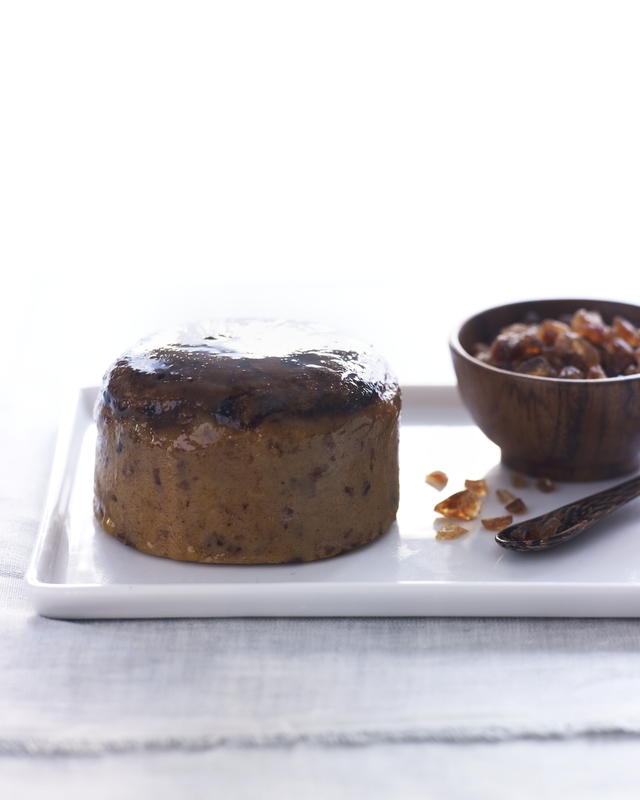 The extra bit of sweet-stuff layered on top of each Sticky Toffee P.U.C seals its luscious appeal. Coombe Castle’s Sticky Toffee cheese upholds England’s historic passion for creating inspired blended cheeses-- then they outdid their own innovation with the Sticky Toffee P.U.C. Application: A conversation starter on a cheese tray, as a dessert cheese, in gift baskets or as a hostess gift, Sticky Toffee P.U.C offers a twist on tradition for the holidays and is a sweet-success at any celebration. Sticky Toffee P.U.C also adds distinctive flavor to a range of dishes from pizzas to pancakes. It is well suited to serve with dried fruits. Pairing: Best with port wines, black teas and coffee. 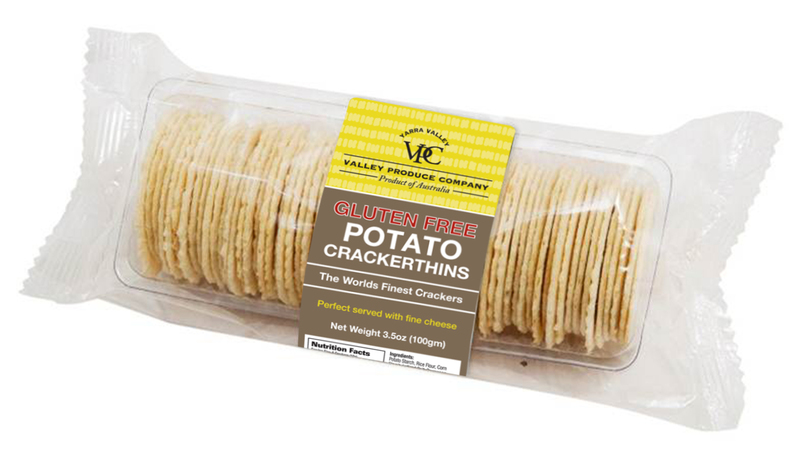 Light, crispy and gluten-free, Valley Produce Company’s Plain Potato Crackerthins are made with premium potato starch to give each Crackerthin a distinctive crunch and savory flavor. Accent any cheese platter or appetizer dish with these airy water crackers, made with all natural ingredients and no added colors, preservatives or artificial flavors, for a gluten-free option with distinct taste and crunch. Fantastic with your favorite fine cheese, vegetable dip or fruit pyramid! Valley Produce Company is one of Australia’s most recognized and respected gourmet food companies. Each product is made with all natural ingredients grown in the prestigious food and wine region of Australia, the Yarra Valley in Victoria. VPC specializes in a range of award-winning cheese accompaniments including Fruit Pyramids, Crackerthins, Seed Crisps and Truffle Infused Honey.